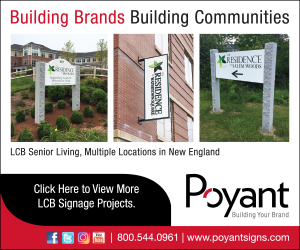 Boston – Strategic Spaces, a New England furniture and interior construction firm, invited two new hires to their team in 2018 after a rebranding and relocation to a new state-of-the-art Client Experience Center located at 280 Summer St. in Boston. Tom Butler, director of Strategic Accounts, and Matt Feroli, senior account executive, carry over 25 years of experience each. Butler spent nine successful years at Office Environments of New England, a Steelcase company, before moving on to WB Mason. He spent seven of his 13 years with WB Mason in the Top 25 Sales Executives category, overcoming 1200 colleagues to win the Top Overall Sales Executive title. Butler’s time well applauded in new business development and account management brought him partnerships with Manulife/John Hancock, Brown Brothers Harriman, MFS, Neighborhood Health Plan, Northeastern, and Grand Circle Travel. Matt Feroli, senior account manager, joined Strategic Spaces in September after 26 years with WB Mason. Feroli has incurred his own acknowledgements in business development, strategic planning and account management. He has a deep understanding of the industry, and will continue to leverage his recognized interpersonal skills and tenured project execution skills to establish long-term strategic partnerships within the biotech, healthcare and education fields.